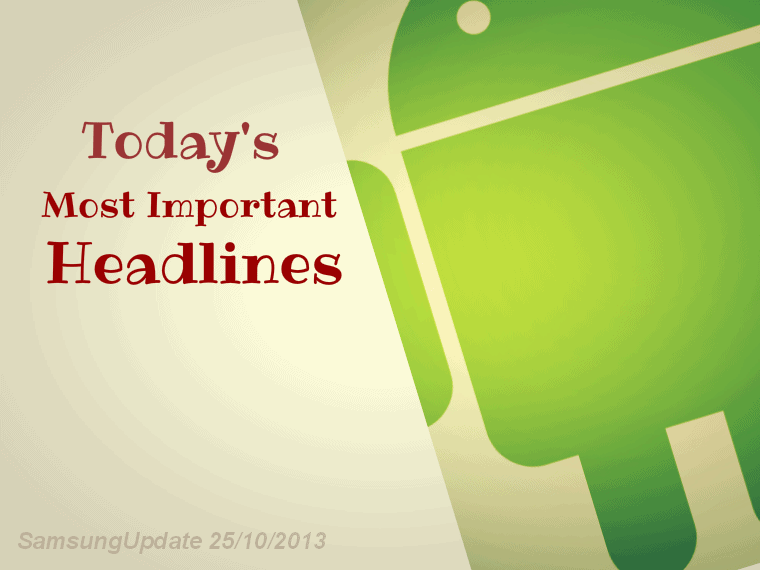 Read on about today’s most important news in the world of Samsung and Android. Samsung was fined with $340.000 for illegal negative marketing campaign against HTC. After hiring students to write negative messages against HTC and praise their own products, an investigation was started against Samsung by Taiwan’s Fair Trade Commission. Samsung was found guilty and was also finned $340,000 . Even though this is an irrelevant amount of money for Samsung, the scandal affects their image and this will cost them a lot more. Nexus 7 2013 receives CyanogenMod 10.2 nightlies. More Galaxy devices will receive Galaxy Gear support in the near future. According to Samsung, they will release updates in the upcoming period that will enable Galaxy Gear support on several devices. First of all, Galaxy S4, S3 and Note 2 will receive Android 4.3 that will add Gear support. The other devices that will receive support are Galaxy S4 mini, S4 Active, Mega 5.8, Mega 6.3, and S4 zoom through separate updates. Samsung mentioned that this updates will begin rolling at the end of October. Here is Samsung’s Press Release. Dead Trigger 2 and Plants vs Zombies 2 were finally released on Play Store. Galaxy S4 Mini comes with a 1.7 GHz dual core processor, 1.5 GB of RAM and a 4.3 inch display, running on Android 4.2.2. It has been available Internationally for a while and now it was announced for a US launch starting with November. The S4 Mini will sell with Verizon, Sprint, AT&T and US Cellular. There is no detail about pricing so far.